A new generation instant feedback app made for you. 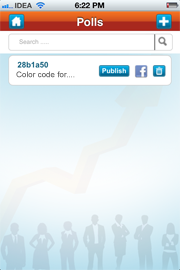 Create Share, Vote and Know your audience pulse in minutes. 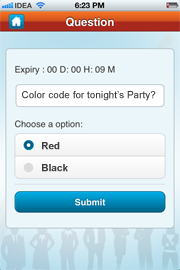 A smart and affordable application to gather audience responses on the go. Teachers, Businessmen, Retailers or anyone addressing live audience and wants to know the audience feedback on the fly will definitely need this app. 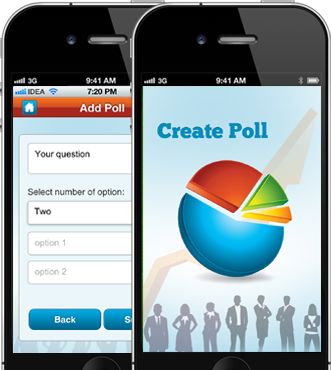 Create Poll is a mobile polling application that is developed for iphone and android platform. The app provides users with an essential tool to create poll on the go from your iphone or android device and share the poll ID with your live audience or within your network. 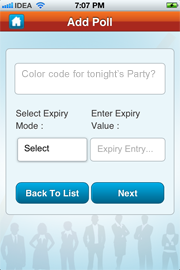 The audience will thereby download the app, search for the poll using the unique ID and Vote for it. 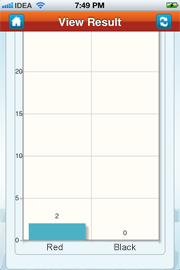 And in no time the results will flash on your phone screen in graphical form. 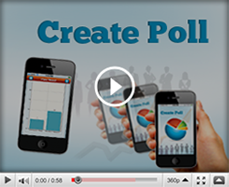 So, get ready to create stunning polls in seconds.